Start one of your own, we must be the last two people who haven't! 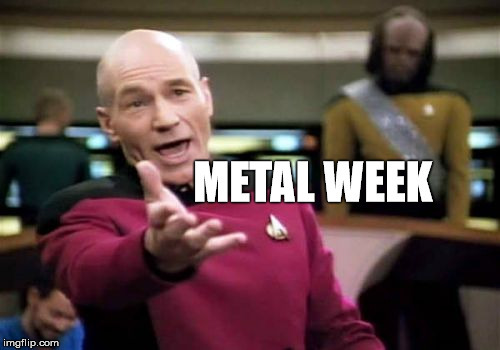 Would likely have to make it "Music Week", but anyone can start one. 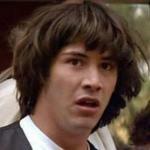 I know we mentioned it before. 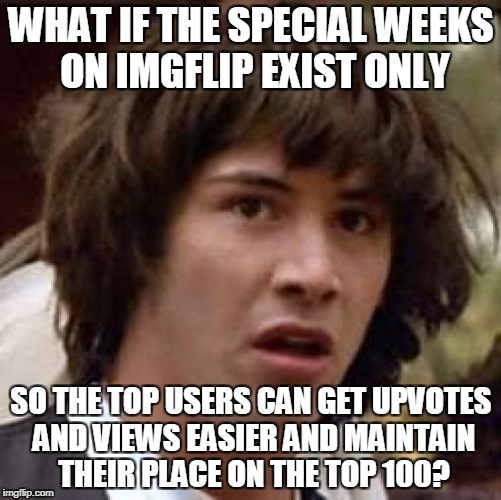 WHAT IF THE SPECIAL WEEKS ON IMGFLIP EXIST ONLY; SO THE TOP USERS CAN GET UPVOTES AND VIEWS EASIER AND MAINTAIN THEIR PLACE ON THE TOP 100?